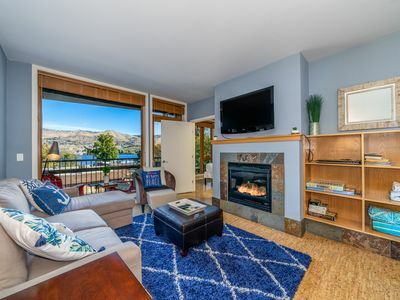 Plan a Lake Chelan vacation to remember at this dog-friendly, top floor apartment near the Lakeside Park in Chelan. 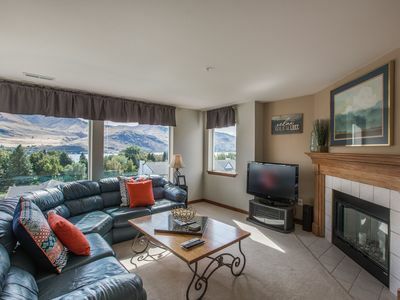 The large picture windows in the luxurious living room and kitchen provides an unforgettable view of the lake. 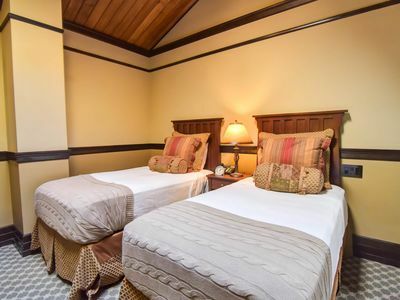 You'll be treated to a jetted tub in one of the home's two master suites. 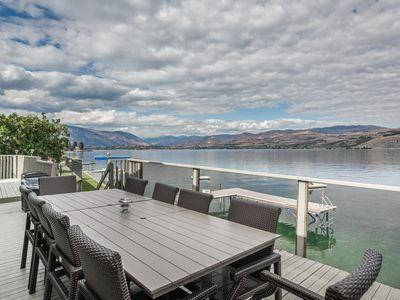 Head out to the wrap around deck and enjoy a summertime barbeque or watch the sunset over the lake and mountains. 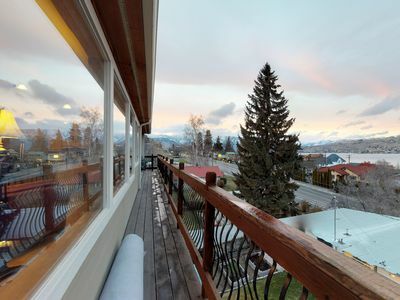 This penthouse is located in a charming fourplex in the Lakeside community of Chelan. 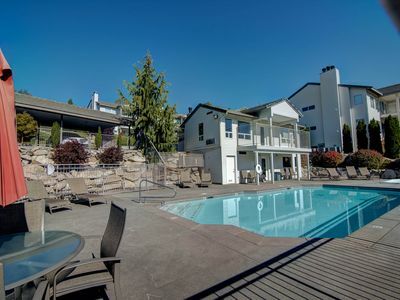 Walk just two blocks to the Lakeside Park for swimming and beach fun. 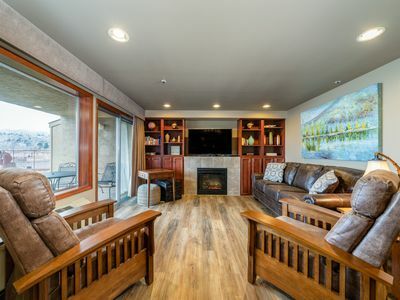 Grab lunch at the two food trucks across the street from the park. 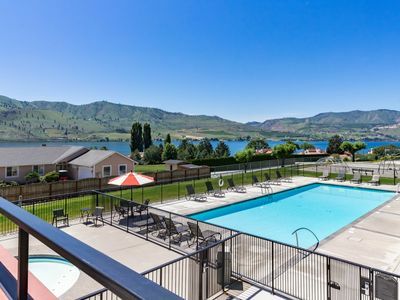 Head to Slidewaters, the premier family waterpark in North Central Washington, it's less than a mile away! 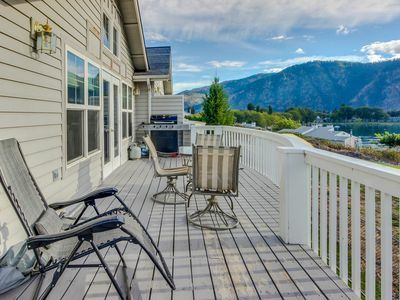 Charming downtown Chelan is just a one and a half mile drive, which boasts great eateries, local shops, and live music on the weekends. 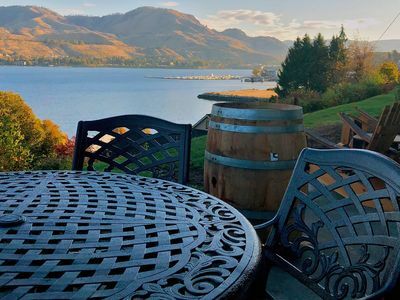 Wine lovers will appreciate the 30 wineries in the valley, with the closest located only one mile away. 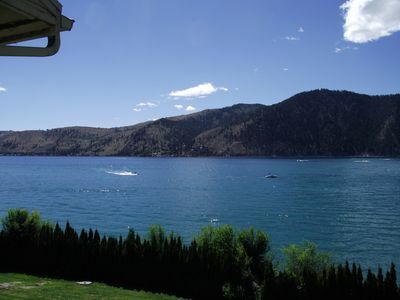 Parking Notes: Two compact cars can pull into and park in driveway, please do not block shared dirt road. 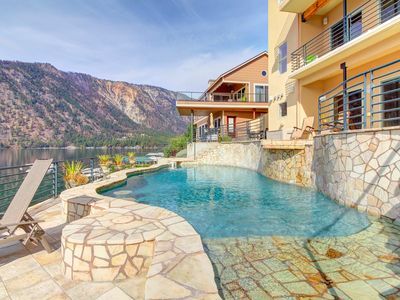 Lake views, a pool/hot tub, basketball court, and more! 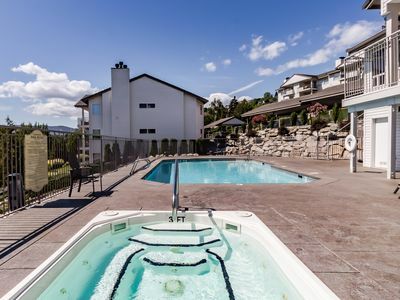 Walk to town, relax in your shared pool & hot tub, & more! 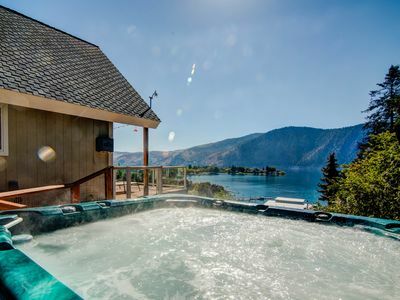 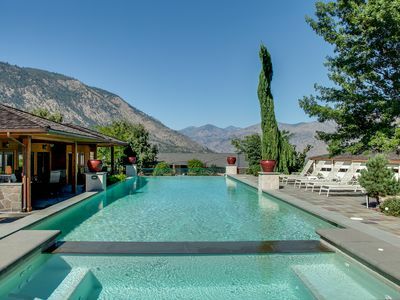 Casual getaway w/shared pool 2 blocks from Lake Chelan! 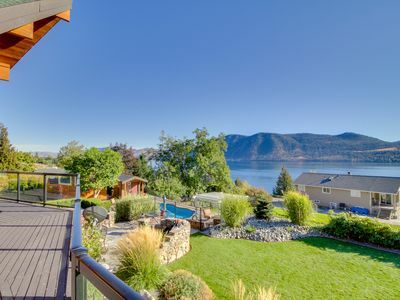 Spectacular lakeside home with private pool and hot tub - dogs welcome! 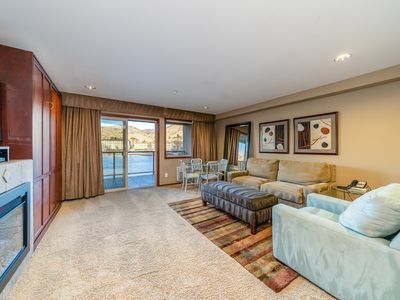 Lake view condo across the street from a beach & marina - 1 dog welcome! 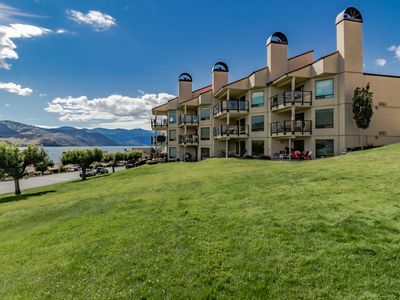 3 Bedroom Condo on Lake Chelan - Fabulous View! 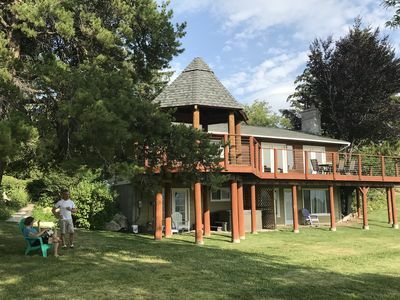 Waterfront Home with Private Dock, Boat Lift, Large Deck and Patio! 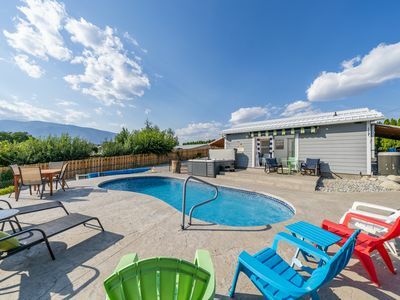 Lakeview and family-friendly home with a private hot tub! 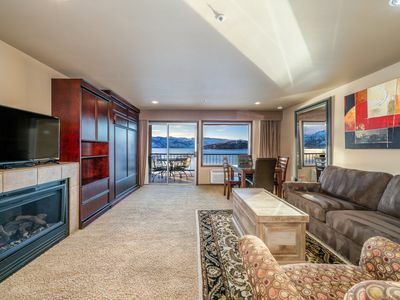 Park view suite with spa tub, sky light and restaurant downstairs!